Join JuJu Smith-Schuster, Rocky Bleier, Willie Parker, Andy Russell, Antwaan Randle El, Donnie Shell, Santonio Holmes and more to be announced on the 5th Annual Legends of Pittsburgh Cruise. For reservations visit: www.legendsofpittsburghcruise.com or call: 877.381.5553 and don't forget to ask about a special offer with the promo code "SCU19" when booking. Pittsburgh Legends JuJu Smith-Schuster, Rocky Bleier, Willie Parker, Antwaan Randle El, Donnie Shell, Santonio Holmes, Andy Russell and many others will set sail on the once-in-a-lifetime, interactive vacation experience for fans of all ages. The Legends of Pittsburgh Cruise offers fans the opportunity to spend four nights aboard a luxurious cruise ship with Pittsburgh Legends, Pittsburgh area entertainment legends and hundreds of fellow fans from across the globe. The Cruise will depart from Miami, Florida, on March 4, 2019, and sail to Nassau, Bahamas and CocoCay before returning to Miami on March 8th. Guests sailing on the Legends of Pittsburgh Cruise will enjoy 4 days of interaction with their favorite current and alumni players. They will enjoy free access to the legends themselves and dozens of themed events. The 2019 Cruise will be celebrating the 10th anniversary of Super Bowl 43 and the 40th anniversary of Super Bowl 13 as legends from those championship games share never-before-told stories of those legendary seasons. The players on board will be found taking selfies, striking up conversations or just hanging at one of the lounges or pools with their fans. There will be exciting activities for guests of all ages both at sea and on shore. Kids will enjoy interactive games and competitions with their favorite sports heroes. Packages include all-you-can-eat dining, access to Legends Cruise and Royal Caribbean Cruise events on board, a Legends Cruise lanyard and more. Guests can purchase additional experiences such a dinner with their favorite player or a private excursion, allowing them to customize the perfect bucket list experience. Proceeds from the Experience Add-ons will benefit Players’ legendary causes as we are “making waves of good” and raising awareness and funds for participating players charities and foundations. The Legends of Pittsburgh Cruise has raised more than $300,000 over the past 4 years for players charities. This year we plan to raise awareness for charities such as the Fighting Back for Veterans Campaign, the III and Long Foundation, the Donnie Shell Scholarship Foundation, UPMC Cancer Research and others throughout the year as well as on the cruise. We will sail on board Royal Caribbean’s newly renovated Mariner of the Seas, the beautiful 1,020 foot long vessel, a marvel of maritime engineering, packed with all the phenomenal onboard experiences you'd expect from our Voyager class of ships—including the FlowRider® surf simulator, Sky Pad, ice-skating rink, cantilevered whirlpools, Café Promenade, mini golf course, and much more. 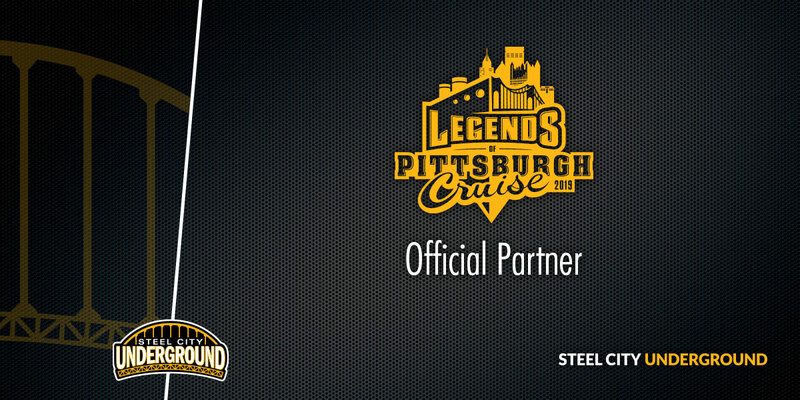 You may reserve your space by visiting www.legendsofpittsburghcruise.com or by calling (877) 381-5553. Don't forget to ask about a special offer with the promo code "SCU19" when booking. The Legends Cruise is not available for purchase through Royal Caribbean Cruises. Experience why over 15 Pittsburgh Legends and 1,000 fans sail to the Caribbean every year! We look forward to meeting all fans on deck!